I like to use my Gravatar on other websites but not Stack Overflow. How can I turn it off? I'd still like to use the same email address. We will be rolling out an alternative to Gravatar in the next couple of weeks. 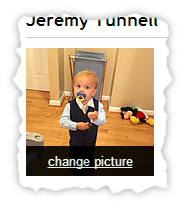 You'll be able to either use Gravatar or upload your own picture from your computer - or switch between the two whenever you like. Please try it out and report any bugs you find. You can not. The Gravatar image is based on your email address. If you want to remove your Gravatar for a certain account but still be available to be contacted then you might want to create a new email address and give it a generic image on Gravatar and provide that email address in your profile. You could even set up your new email account to forward all incoming messages to your primary email. Further reading - Why is my gravatar on Meta Stack Overflow different from my gravatar on Stack Overflow? Fixed by changing email address from xyz@gmail.com to xyz+stackoverflow@gmail.com. 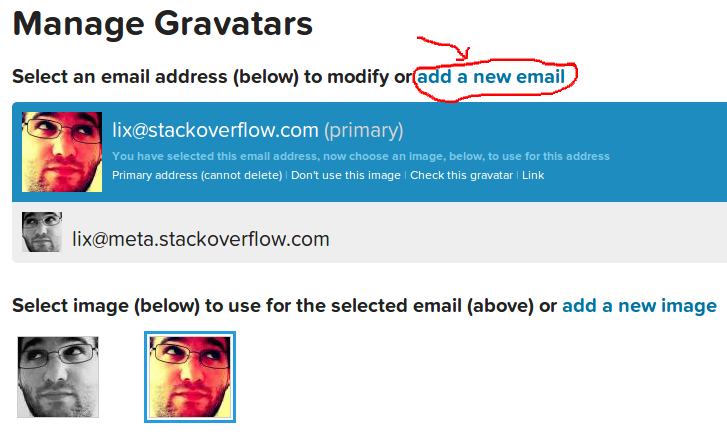 Remove your email address and your gravatar will be replaced by a default image. Not the answer you're looking for? Browse other questions tagged feature-request status-completed gravatar profile-picture . Is it bad to use your “real name” as your user name? How do I change my profile picture on main user, Area 51?